Going through about 1,400 photos from the 12×12 Vancouver Photo Marathon can be a true challenge. Or at least it used to be until now. With the help of Chris Arnold from PhotoPivot.com we have developed a Live Labs Pivot collection of all the photos from our events. The pivot collection lets you easily sort through the photos, zoom in and out, see only photos from one theme or only one participant. It’s really quite intuitive and requires very little explanation. Simply open it in your browser and play around with it and you’ll see how easy it is. The application gives you a whole new perspective on all the photos entered in the contest and you’re likely to discover new favourites you didn’t know were there. If you do find a photo you like, you can double-click on that photo and you’re taken straight to the Flickr page for that shot where you can leave a comment or add it to a gallery. The PhotoPivot collection requires that you have Silverlight installed. Silverlight is a runtime environment similar to Flash and is a quick download and automatic install on PCs and Macs alike. As mentioned in a previous post, to help people keep track of what’s going on during 12×12 Vancouver Photo Marathon we have created a Tweet Map specifically for the event. 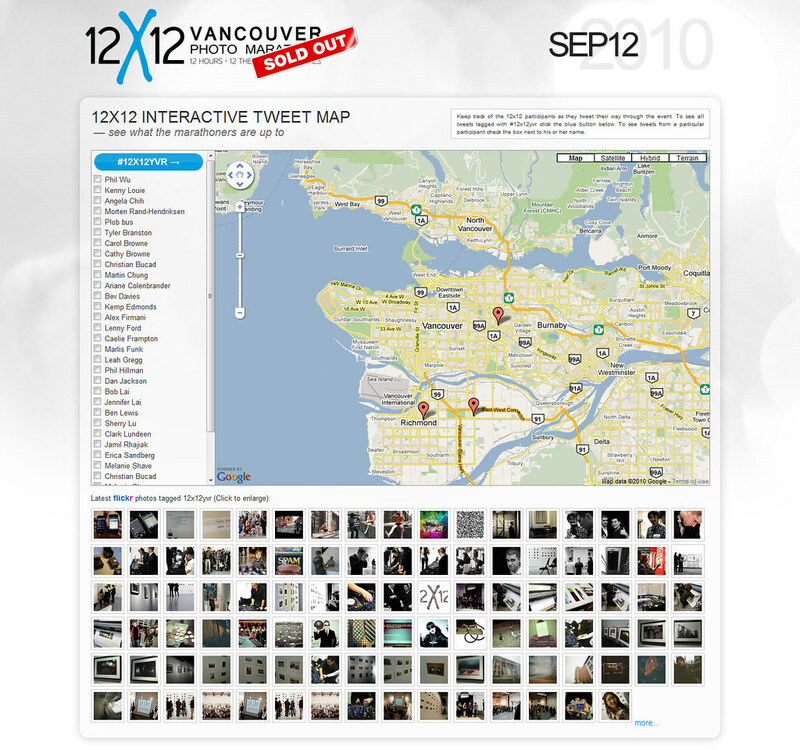 The map will display all geo located tweets tagged with #12x12yvr and you can also set it to display only the tweets from one participant. In addition the page shows a live feed of all Flickr photos tagged with 12x12yvr, so update often to see the latest postings. We’ll be tracking the 12×12 participants during the event using a custom cell phone app in conjunction with Twitter and Flickr. 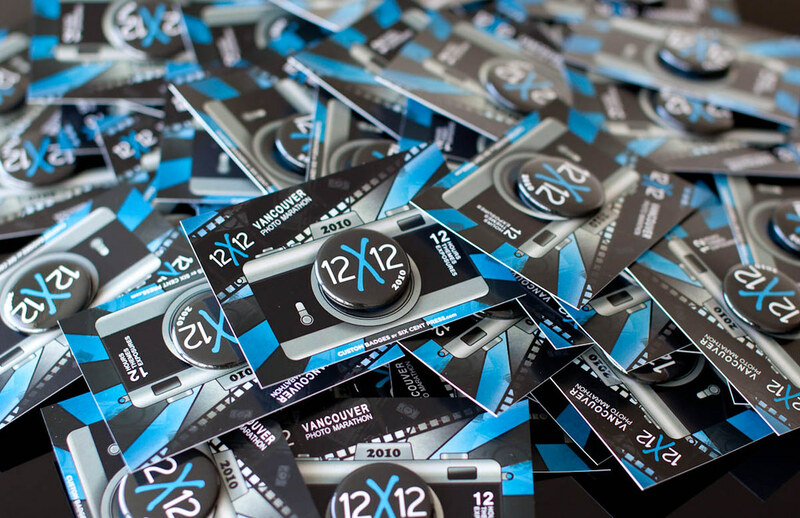 If you don’t have an iPhone or an Android phone and you still want to get your tweets and photos on our map all you have to do is activate Tweet Location on Twitter.com and tag your tweets and photos with #12x12yvr. 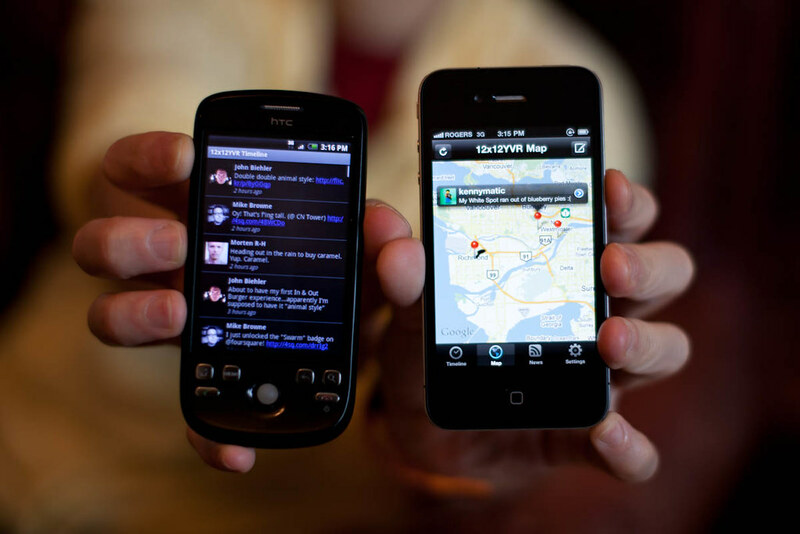 The app and Tweet Map were created to make the event more interactive but have no impact on the results of the marathon. Participation is entirely voluntary. Get Featured on 12×12’s Interactive Tweet Map! 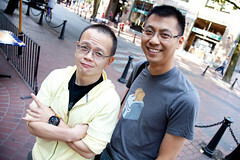 A short time after the first 12×12 Vancouver Photo Marathon, participant Philip Wu (aka phobus) approached us with an interesting idea: Wouldn’t it be cool if the participants had a phone app they could use to show people where they were and what they were doing during the marathon itself? I have to admit it sounded a bit ridiculous at the time, but now that I have the app running on my Android phone I have to say I was dead wrong. And not only that: The cell phone app led to the creation of an interactive Twitter map that will be running on the web during the event so everyone can see where our participants are and what they are tweeting about. The phone app, developed by Phil in his spare time, is designed for Android and iPhone (though as of this writing the evil Apple conglomerate has yet to approve the app in iTunes) and lets the user Tweet and upload photos to Flickr from one central location. Each Tweet is tagged with #12x12yvr and geotagged so everyone can see where it was sent from. The Flickr photos are tagged with 12x12yvr and a link is also appended in a Tweet that is geotagged. As a result, anyone who uses the app will leave a trail of tweets and photos throughout the city. And that’s where the Tweet Map, developed by Kenny Louie, comes in. 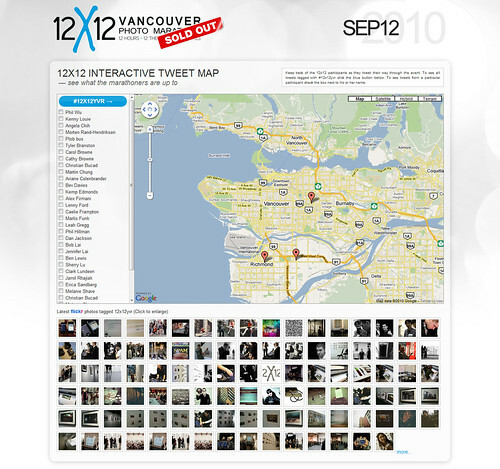 The Tweet Map displays either all geotagged tweets tagged with #12x12yvr or tweets from selected participants on a live map. 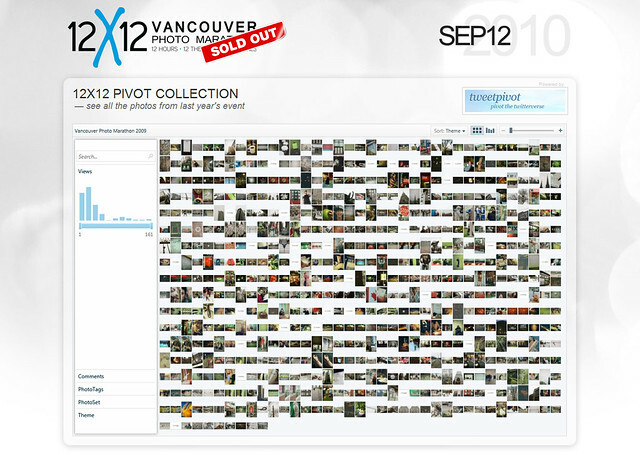 In addition, the map page has a live feed of all Flickr photos tagged with #12x12yvr running below. The result is a minute-by-minute live view of what is going on during the event. I’ve tested it and I have to say it’s pretty damn cool. The Tweet Map will be made public on our website on Sunday September 12th for everyone to log in and play along. To get your tweets to appear in our map you need to turn on Tweet Location under Settings on Twitter.com. And even if you don’t use the 12x12yvr map, if you have Tweet Location turned on and you tag your tweets with #12x12yvr they will show up on our map. How cool is that?! The first 12×12 Vancouver Photo Marathon went off without a hitch… for almost all of the participants. In the end three blank films came in, two because of loading errors and one because of a notoriously fussy camera (the very same camera Carol Browne has decided to use for this year’s event!). In light of this, and also several requests from participants to have more time to socialize in advance of the event, we approached Vancouver Photo Workshops director Marc Koegel about the posibility of hosting a private workshop on the Friday before the event, open only to the participants and those on the waiting list. To our delight Marc said yes and set things in motion. 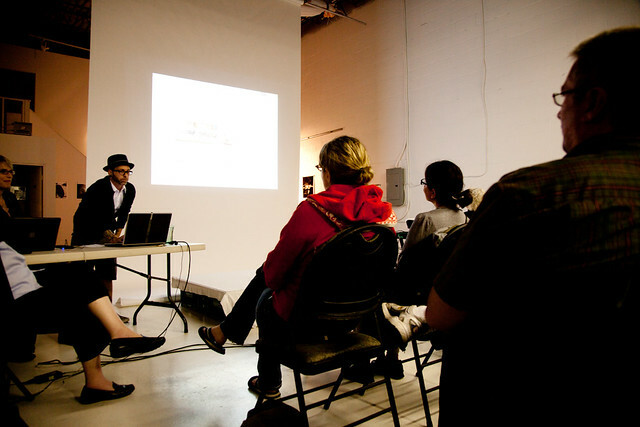 The ad-hoc workshop was centered around film photography. Syx Langemann, Aura McKay and Mary Jensen had separate presentations on street photography, creativity and capturing the perfect frame before opening a discussion around theme interpretation based on the 12 theme winners from the 2009 event. For this portion we were lucky enough to have some of the theme winners present and the presenters were also assisted by judge-turned-participant Bev Davies. Finally Syx headed off a much needed refresher on film photography basics including how to load film properly (and don’t scoff now; I worked in a photo lab for years and I can tell you from experience even people who consider themselves the professional’s professional make mistakes in loading film with disasterous results), ISO settings, aperture and shutter speed. All in all it made for an interesting an enlightening evening for everyone, amateur and professional alike. But just as importantly, the evening was the place to be to check out old an unusual camera gear and served as a perfect opportunity for everyone to size up the competition, get a few early jabs in and get psyched for the big day on Sunday. 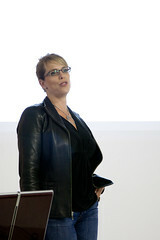 Posted by Morten Rand-Hendriksen on August 14, 2010 at 11:00 am. At 1:19am on Saturday August 14, 29 hours after the tickets for the 2nd annual 12×12 Vancouver Photo Marathon were released online, the last ticket was sold. The 59 other tickets were snapped up within 24 hours of the release. In fact, half the tickets were sold within 10 minutes of the release! For a while, we thought people were mistaking our event for a Justin Bieber concert. But looking at the list of participants and the chatter on Twitter, it’s clear we now have a full roster of eager photographers from all walks of life ready and willing to take on the challenge that is the 12×12. Congratulations to one and all for getting a ticket! Last year we had far more people wanting to attend than we had tickets. In our rush planning we had not anticipated this and had not made contingencies. In the end, 5 ticket holders were unable to attend but we were only able to pass on one of the tickets on event day. To avoid this problem and ensure that we actually have 60 participants this year, we have started up an official waiting list through Eventbrite. That means even if you were not able to get a ticket in time you can join the waiting list, and if someone backs out, something comes up or just doesn’t show the day of, we’ll pass their ticket on to you. To join the waiting list, go to our Tickets page or go straight to Eventbrite. Ticketholders who do not register at the event location on September 12 by 8:30 am (registration begins at 7am), and who do not notify us in advance or on the day of by phone or email that they will be arriving late, will automatically forfeit their ticket and it will be passed on to the next person on the waiting list. We will attempt to contact the ticket holder by phone (thus the request for your cell phone number during ticket purchase) before passing the ticket on. This year we’re doing some cool interactive things online in preparation for and during the event itself (tba). To start off we are making an official 12x12yvr Twitter List so if you’re a participant and you have a Twitter handle (name), send it to us and we’ll add you to the list. 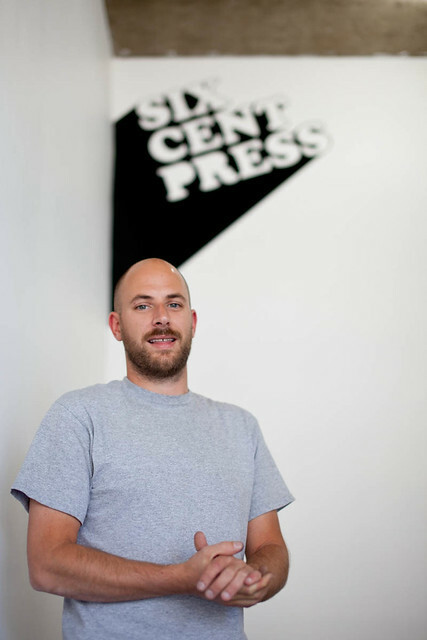 Likewise, send us your Flickr handle. And finally, if you’re on Facebook, like our event and we’ll share more links and info with you. Ticket Release Date, Pricing, and More! Posted by Morten Rand-Hendriksen on August 5, 2010 at 1:50 pm. Lace up your runners people, because there’s going to be a sprint to the box office on Thursday, August 12th at 8pm when the 60 tickets for the 2010 12×12 Vancouver Photo Marathon go on sale through Eventbrite! Last year the tickets went in one week and we already have a lot of interest so we deliberately placed the release at a time when we figure everyone can be at home and in front of their computers. We’ve also set up a waitlist so if someone gets a ticket and then can’t attend, we can pass it on to the next person on the list. Very important: Make sure to leave your email and a phone number. Be advised: To ensure we have 60 participants, we have created a new rule for the event. If you hold a ticket but do not register before 8:30am on the event day, we will release your ticket to those on the waiting list unless you contact us in advance to let us know that you are planning on arriving late or that you are delayed. Before releasing a ticket to the waiting list, we will attempt to contact the original ticket holder using the phone number entered during the ticket purchase process. Therefore, make sure you provide a phone number you can be reached at on event day (i.e. your cell phone number). If you are planning on arriving late on the event day, notify us in advance or you will lose your spot! This year the ticket price is $24. The ticket includes participation in the marathon itself, free film and development, your photos exhibited at the free gallery showcase, the chance to win some great prizes and lots of other goodies. There was some confusion last year as to the name of the event so the team decided to make the video you see above to shed some light. Feel free to spread it far and wide: YouTube. A big thank you goes out to our fabulous Lesley Tetlow Stefanski, for directing and editing this award-winning piece of comedy! Posted by Morten Rand-Hendriksen on July 26, 2010 at 4:40 pm. We are well underway in the planning of the next 12×12 Vancouver Photo Marathon which will take place on Sunday September 12, 2010. Sponsors are coming on board, media is starting to contact us and people are getting excited. A QR Code is a two-dimensional bar code that contains more information than a regular one dimensional barcode. 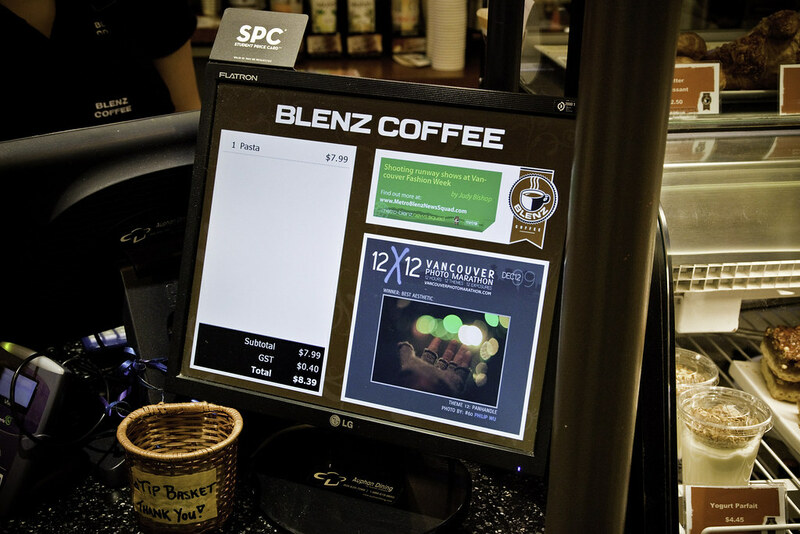 With a QR Barcode Scanner (i.e. 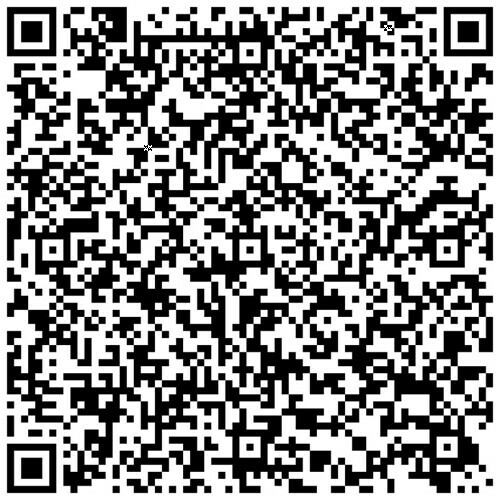 your cell phone) you can lift information off this code including links to both this website and all our social media outlets. 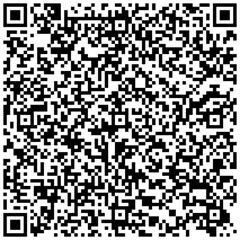 You can get a barcode scanner app for pretty much any smart phone. Here’s a link to the free Android one I’m using. I’m going to venture a guess and say that you can probably get one for your iPhone at the App Store for a dollar or two. In addition to our tried and trusted URL www.VancouverPhotoMarathon.com we have acquired the shorter www.12x12YVR.com domain to make it easier for everyone to create links to our posts and other information. 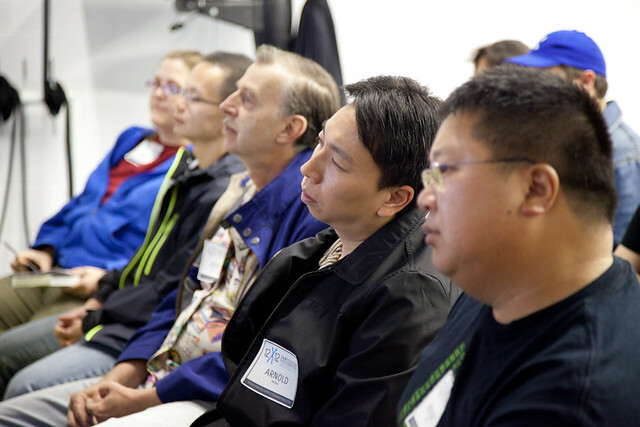 The new 12x12YVR.com domain points to the same site and the same pages as the longer form original and they can be used independently. That means next time you want to link to us using Twitter and you don’t have enough characters left for the long version, just swap out the long domain name for the short one and get the same results. All of these links will take you straight to the various social network profiles. No magic, or mumbo jumbo. They are just easier to remember. Warm up for 12×12 by entering the London Drugs “Fresh Air” Photo Contest! Posted by Morten Rand-Hendriksen on July 13, 2010 at 10:00 am. 12×12 sponsor London Drugs and the Lung Association are currently running their 26th Annual “Fresh Air” Photo Contest. The concept is simple and one you can really cut your teeth on: Take a photo of the theme “Fresh Air” and you could win some snazzy camera gear. The contest challenges photographers from across Western Canada (BC, Alberta, Saskatchewan and Manitoba) to send in their best fresh air photo to win fabulous prizes. First, second and third prizes will be awarded. Entries will be judged on originality and overall photographic quality in conveying the theme “Fresh Air”, with one overall Grand Prize for the photo judged best overall. Posted by Morten Rand-Hendriksen on July 7, 2010 at 12:30 pm. 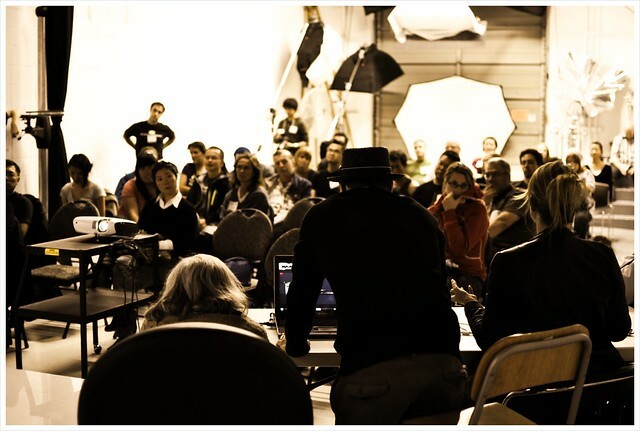 I know you’ve been wondering… Is there going to be a 12×12 Vancouver Photo Marathon this year? Well, the answer is a definite “yes”, with bells on. As you can see from the top of this site, the next 12×12 Vancovuer Photo Marathon will take place on Sunday September 12, 2010. We’ll be releasing more info about the event, how to get tickets and everything else you need to know as the date comes closer but set your calendars because it’s going to be great! As you can see we’ve completely dedesigned the 12×12 Vancovuer Photo Marathon website in preparation for the 2010 event. We wanted a cleaner layout with easier navigation and also wanted to add some new features (tba) so consider this step 1 of a multi-step process to get everything on track for the big day. The committee is starting to plan both the marathon itself and the following exhibit and we are in the process of bringing in sponsors, media and most importantly enough rolls of film for everyone. If you have any questions, comments or suggestions or want to take a bigger part in this year’s event, drop us a line or leave a comment below. And most importantly: Spread the word! 12×12 is back and it’s going to be great!